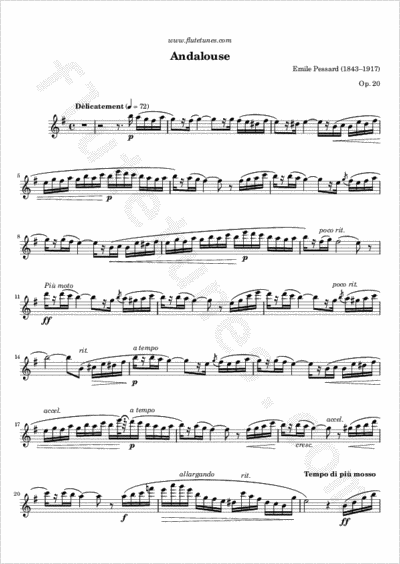 This charming piece for Flute and Piano was written by French Romantic composer Emile Pessard. With its use of characteristic modes and rhythms, it captures the sound and spirit of flamenco music, which has its origins in Andalusia in the south of Spain. Thanks to Jessica for suggesting this piece!